We have some meals around our house that we cook often but there's no recipes attached to them. This is in part because it's all by taste and also because I haven't gotten serious enough to focus on making them recipes. 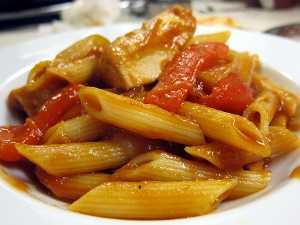 One of those meals is Barbecue Chicken Pasta. This might seem out of left field until you realize that most people have no problem eating Barbecue Chicken Pizza. For the pasta rendition we substitute noodles for the pizza dough and add in some nice caramelized veggies. We're not exactly forging new trails here with grilled chicken, boiled noodles and sauce. However, what makes this meal a bit more complex and the reason I don't have a proper recipe for it is the sauce. There's a million jarred BBQ sauces on the store shelves but the problem is that none of them fit this dish. Most are too smokey, too hot, have too much vinegar bite or are too sweet. Since I just knocked out the four dominant flavors of BBQ sauce you may wonder what my vision is. 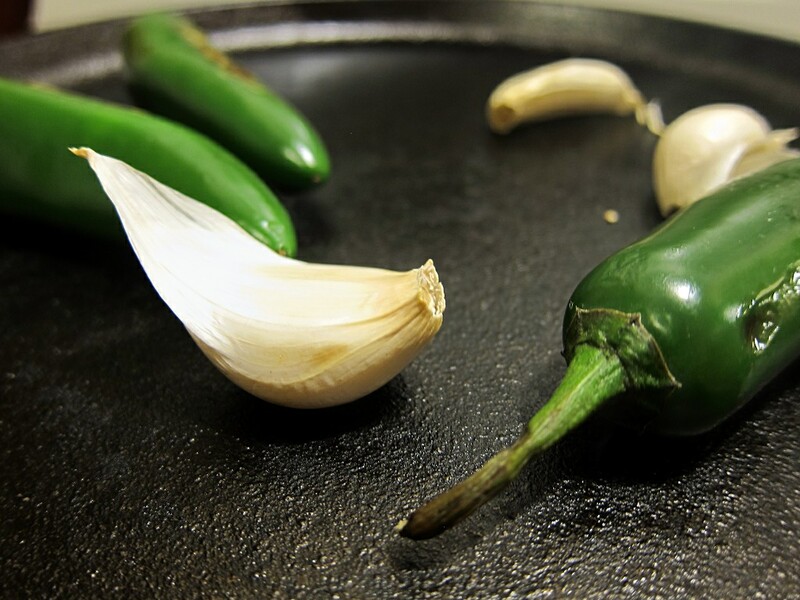 I want a sauce with no smokiness, no heat, a touch of sweetness to complement the caramelized onions and peppers, a touch of zippiness and a whole lot of tomato flavor. What I want is a BBQ flavored tomato based sauce that's bright and lively but not overpowering. You'd think that with 30 million jarred bbq sauces that someone would have that combination but so far I've not found it. 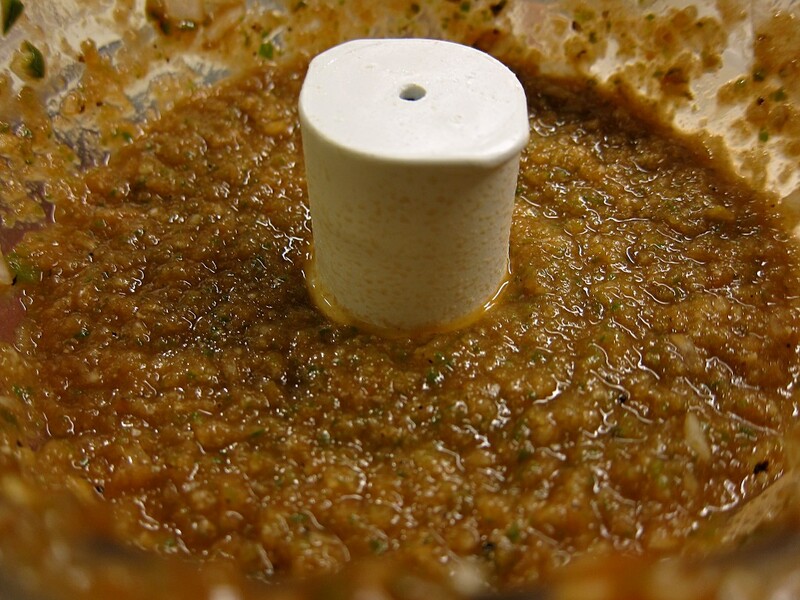 Following is the very rough recipe. I'm not happy enough with it to put it in the recipebook on this site. 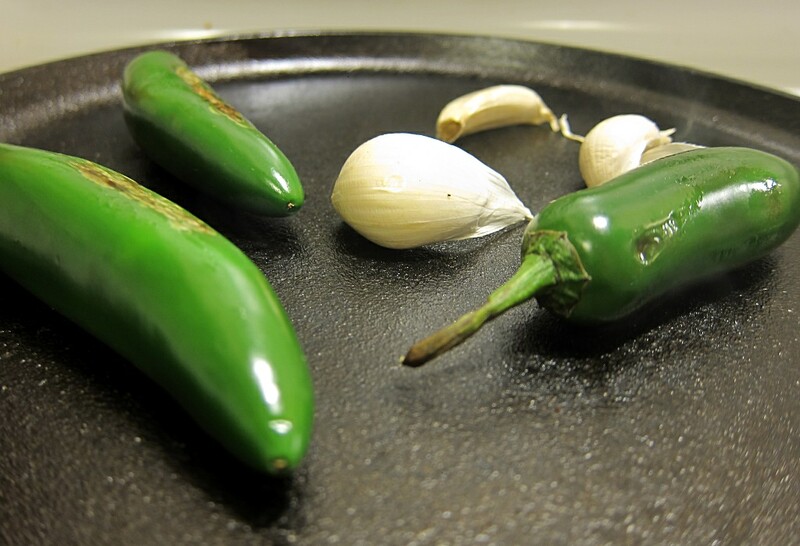 Later when I get the sauce dialed in I will but for now it's just a blog post. Forgive me for being just a bit vague on things. It's been a while since I put up any recipes but I recently hosted the end of the quarter potluck for my classes and so in doing that spent most of a day cooking. 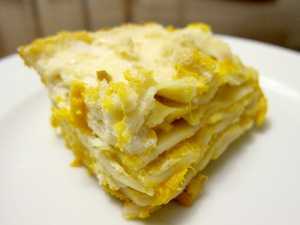 On occasion I have a vegetarian student and I pull out the old favorite - Pumpkin and Mascarpone Lasagna. It also just so happened that I had just enough pumpkin left from my second to last pumpkin of the season. The recipe calls for 2 lbs which is quite a lot and I had exactly that. The nice thing about this recipe is that it's nice, light and a bit exciting. The reaction you have after eating this is the same as the reaction from Butternut Squash Ravioli - you wonder why people limit themselves to boring meat/cheese and red sauce noodles. The flavors are bright and exciting, meat or cheese lasagna is boring and drab. Maybe it's not for everyone but so far every person I've fed it to really liked it and in addition it's good for most vegetarians (has dairy and eggs) and like many non-meat foods, it's cheap. In fact as I made it the cost is roughly $1 per slice of lasagna and half that cost comes from cheese. Shop around and you may be able to make it for less. Note for anyone not willing to eat eggs they can just leave them out of the Bechamel. It will be less fluffy but still very nice. the Man, the Myth, the Legend asleep? There's been a long drought of articles here at The Man, The Myth, The Legend and for that I apologize. The only thing I can say is life has gotten more complex and very busy. I started a new relationship and the school quarter is ending thus most of my time/energy/motivation has gone into those things. As I find balance I should be able to get back to posting more often. A note to my readers though, looks like we'll push past 2 MILLION unique visitors this month. It took 4 years to get the first million and only since September to get the second. This is a huge milestone and I hope the increased traffic continues. I'd like to see more commenting of course though. Another announcement is that I'll be pushing the Recession Chef articles out to a new website - recessionchef.com. Don't get too excited yet as I'm still working on it but you can wander over there and tell me what you think if you'd like. I'll still post general food blog posts here and I'll repost Recession Chef articles here (or at least promote them) but all articles having to do with "Eating well on a recession budget" will be posted there. That content will go toward the book. If you'd like to follow the Recession Chef on Google+ (where all the cool kids hang out - Oh my gosh, Facebook is sooo MySpace!) you can circle the Recession Chef Google+ page. I was in a grocery store last week and I saw that they were carrying both El Monterey Chili and Picante burritos. I've never seen both in one store and have in fact bought Chili thinking I was getting Picante only to get home and spit them back out. I'm not a fan of my frozen burritos tasting like Chili powder. If I wanted chili powder in my mouth I'd combine it with tomatoes and make chili with it. The Picante burritos though I like and after that unfortunate incident I've had to be very careful to read the package to make sure I was in fact getting Picante and not Chili flavored burritos. This display though accentuates the problem - El Monterey has two products that look nearly identical. Yes the shade of red is slightly different and there are a few words that are not identical but I feel these two products need to be more unique. So let's think about having two products nearly the same, most stores won't carry both because the number of people grabbing the wrong one and then returning them probably goes up. I don't know the protocol for returned goods but I bet it's a write off. So by only being able to sell one OR the other in each store you're cutting your market in half. It would seem that by making the packages drastically different they could put another product out there and increase sales. Just an observation. Phad Thai is a very easy meal to make at home if you have the right ingredients. There are several brands of Phad Thai sauce on the market and frankly I'm not entirely happy with any of them alone. However upon buying several and inspecting the ingredients list and tasting them I've found an alternative to making my own Phad Thai sauce - speedball them! Mae Ploy one of my favorite Asian product makers focuses on fewer ingredients in their jarred Phad Thai sauce and only lists 11 items. Ingredients include palm sugar, shallot, water, fish sauce, soy bean oil, vinegar, tamarind, red chili, salted radish, dried shrimp and salt. Por Kwan, another popular company has 14 ingredients so in exchange for the shallots in Mae Ploy's sauce they have onion and garlic, tartaric acid, citric acid and sodium metabisulphate. From the ingredients list the Mae Ploy definitely sounds like the better product but the overall effect is a sweeter sauce. After experimenting I've found the best combination is a 50/50 mix of both sauces. I use one large jar of Mae Ploy and two small jars of Por Kwan. 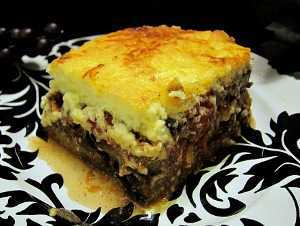 After a great deal of time I've put the Moussaka recipe up. The negative to posting photos of really nice meals is that it's inevitable that someone will want the recipe. An interesting story though - I lost my Moussaka recipe. So the one I just posted is a work in progress that's a result of taking some other online Moussaka recipes and twisting them to match my memory. I'm sure I'll have to modify it as time goes on to get it tasting the way I originally had it. However, for now this one is pretty good. In the future I'll be playing with pealing the Eggplant, breading and baking it. Primarily because the part of the Moussaka my kids like the least is the Eggplant skin. I'll also be playing with the spices, potatoes and wine. I've given hints about the Bechamel and I'll be playing with that more to decide exactly how I want it. I've folded in beaten egg whites and added grated cheese to it for added bulk and have liked the results. Continue to my Moussaka Recipe. Each course includes a full set of class lectures produced in high-quality video accompanied by such other course materials as syllabi, suggested readings, exams, and problem sets. A free world-class education for anyone anywhere. All of the site's resources are available to anyone. It doesn't matter if you are a student, teacher, home-schooler, principal, adult returning to the classroom after 20 years, or a friendly alien just trying to get a leg up in earthly biology. The Khan Academy's materials and resources are available to you completely free of charge. Notre Dame joins the OCW Consortium, "a worldwide community of hundreds of universities and associated organizations committed to advancing OpenCourseWare." Notre Dame's participation is consistent with its goal "to provide a forum where through free inquiry and open discussion the various lines of Catholic thought may intersect with all the forms of knowledge found in the arts, sciences, professions, and every other area of human scholarship and creativity." Find stuff and use it. Freely. Welcome to our collection of openly licensed educational resources (OER) from the University of Michigan. Ranging from course materials to videos to software tools to student work—this content is ready for downloading and remixing. Learning content: syllabi, full courses, modules, learning objects, lecture notes, presentation and data collections. Tools: content development tools, online learning communities, and software to support the creation, delivery, use and improvement of open learning content. The University launched its OpenCourseWare initiative in November 2006. As the first West Coast university and UC campus to join the OpenCourseWare Consortium (OCWC), our OCW project is growing rapidly with the addition of nearly10 new courses every month. Tufts University is committed to offering the world's learners free access to its many academic resources. Tufts OpenCourseWare (OCW) seeks to capitalize on the potential of the internet to eliminate borders and geographic distance as obstacles to the instantaneous exchange of knowledge and new ideas. Unlike distance learning programs that charge tuition, provide formal instruction and limit participation, OpenCourseWare offers all course materials free to everyone with online access. Free and open educational resource for faculty, students, and self-learners throughout the world. The Johns Hopkins Bloomberg School of Public Health's OPENCOURSEWARE (OCW) project provides access to content of the School's most popular courses. Open collection of educational resources organized by courses. Capilano provides a solid academic foundation and is committed to developing new and innovative programs in response to market demand. It offers a complete range of preparatory courses, university transfer courses, business and management studies, creative and applied arts programs, health and human services programs, plus a range of services in support of student learning and success. Kaplan University is a different school of thought.SM One that rewrites the rules of education with innovative technology and new ideas. One that develops talent. Your talent. NJIT is a member of the worldwide OpenCourseWare Consortium. NJIT’s OpenCourseWare (OCW) site offers free and open digital publication of high-quality educational materials, organized as courses. Some courses can be viewed in video, while others are only in audio. Course lecture notes and presentations are also posted for some courses. Free and open digital publication of high quality educational materials, organized as courses. Courses are based on the concept of open education resources (OER), freely available on the Internet. Peoples-uni develops a standardise educational context around these open resources. Try over 600 free online courses from The Open University. Available from introductory to advanced level, each takes between 1 and 50 hours to study. Complete activities to assess your progress and compare your thoughts with sample answers. Sign up for free to track your progress, connect with other learners in our discussion forums and find the tools to help you learn. 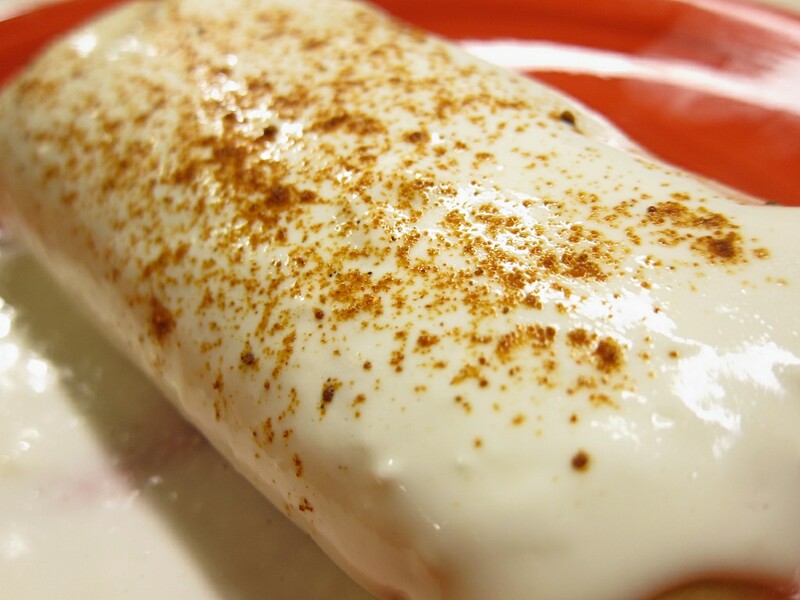 La Raza a small taqueria near Edmonds Community College in Lynnwood Washington that makes cream smothered Chimichanga. Let me just say that I'm aware that Chimichangas are no more Mexican than French toast is French. 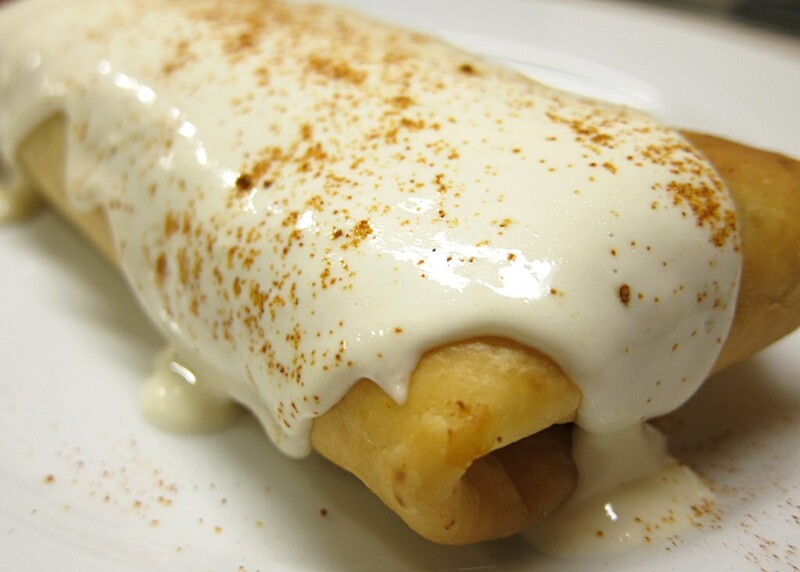 However, there's something very nice about deep fried tortilla with a heavy dose of cream. 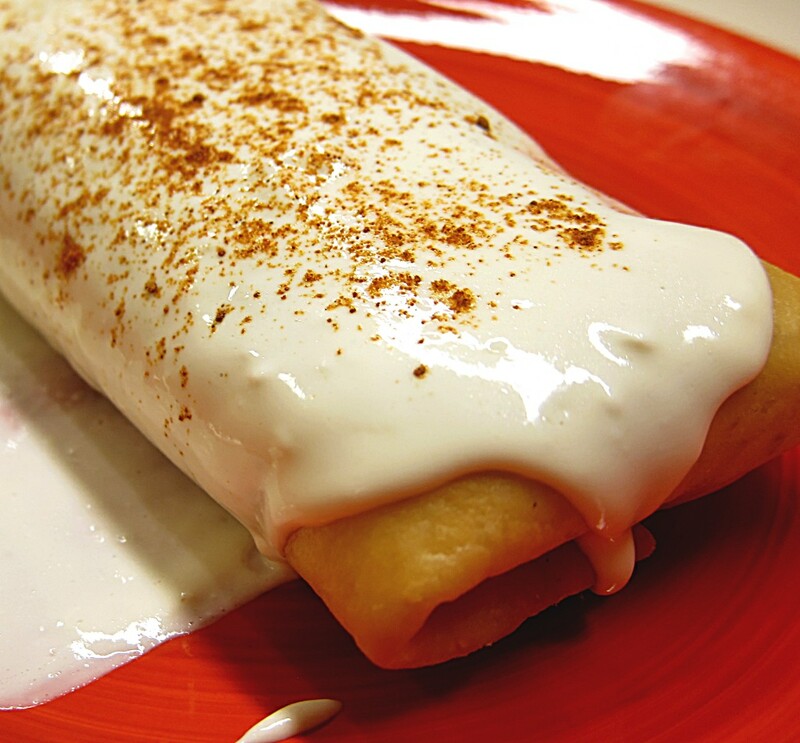 I think you could deep fry a Taco Bell burrito and smother it in cream and it would be edible (about the only way). Even though I like going to La Raza to pick up a Chimi at lunch I don't always like paying $10 per meal. Although the Chimichanga is large enough to share with someone else I don't always have someone there to share with. So instead of spending $20 to take my family out for Chimichangas we make them ourselves. For $6.00 I made 7 Cream smothered Chimichangas or roughly 85 cents each. I get my 40% heavy cream from Cash and Carry, tortillas from anywhere, chicken on sale and the rice is dirt cheap no matter what. Loose instructions for Chimichangas. There's no real recipe because it's largely done by taste. That's it really. Making the rice is the most work. 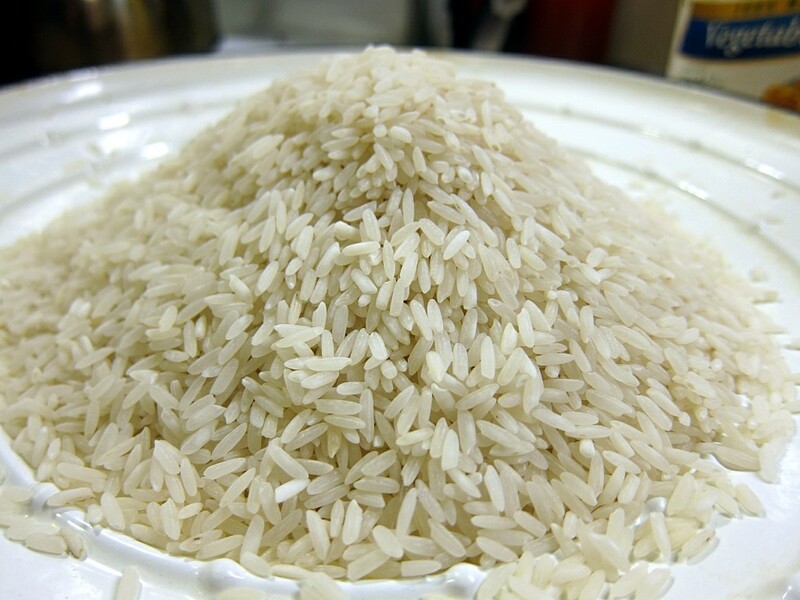 If you double the rice recipe you can make these several times in a row or just eat the rice. For me this recipe made about 7 Chimichangas. had stabilized I loaded it with a heavily rubbed point beef brisket and smoked it with hickory fairly heavy for about 4 hrs at between 250-225 degrees which is longer than I usually do but I felt adventurous. To be honest after this winter I think I just missed the smell of the smoker running in the back yard. The Brisket was then double wrapped and put in the oven at 225. I probably should have pulled it at 8 hrs but it still turned out really great. 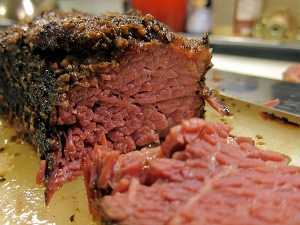 The fat cap was mostly gone, the texture like melted butter and after resting very little juices ran off. It has a great layer of bark and the flavor nice and smokey. The photo to the right is cut against the grain. You can see the substantial bark and the looseness of the muscle fiber. I've been wanting to discus the venerable sweet potato for quite a while. Having read Chilies to Chocolate: Food the Americas Gave to the World and History of Food I've been curious about the confusion surrounding sweet potatoes. I've also wanted to learn a bit more about them and see if there were difference between the available varieties. In the last 100 years there's been a trend to shrink the genetic biodiversity of our food resulting in less choice. After growing tomatoes and many herbs I have become well aware that you grow food so you can have the right food, not necessarily to save money. It is cheaper to grow your own but if you factor in your labor a garden you probably costs you twice as much as just buying the food but the advantage is better quality and more choice. There are paste tomatoes, slicing tomatoes and sauce tomatoes depending on your needs. There are many different varieties of mint (chocolate mint is very nice), basil and other herbs. You can grow pumpkins for Halloween and pumpkins to eat (not the same thing, see my previous articles on pumpkins). However, we're nearing a disaster of epidemic proportions. Not only are we engineering seeds that can't produce more seeds and then patenting them so other people can't grow food without paying for the seeds but the plants can't survive without us making them subject to our commercial interests. There are seed banks trying to combat this but that will only allow us to plant these various crops, it won't give anyone the incentive to do it. We are narrowing our biodiversity for commercial profit. It's just easier to grow and ship two types of tomatoes than 10. Likewise it's easier to provide one type of basil, one type of mint, one type of sage etc... Another reason may be that people are just further removed from their food than they once were so we don't pay attention to the different types of foods we have available. If you've never studied sweet potatoes you may think there's only one type – labeled Sweet Potatoes in the store. 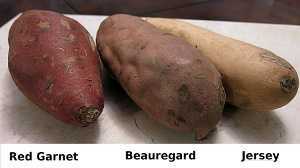 In fact there are over 6,500 varieties of sweet potatoes. Obviously we can't try them all so I focused on the three varieties commonly available in super markets – Beauregard, Garnet and Jersey. I've seen the Jewel variety in stores too on occasion but they weren't available for this comparison so I may do a follow up when I can find some. I tested three varieties cooked in 4 different ways and noted the difference. Before you skip the rest of the article because you think they're all the same you might want to reconsider. Read the article after the jump.